Half the price, twice the organic matter and beneficial soil biology! For centuries natural means of nutrition from cover crops have allowed plants the benefit to grow to their fullest potential. Genesis understands soil biology and the important roll it plays both in plant and human health as well as financial stability for sustainable farmers to continue for centuries to come. 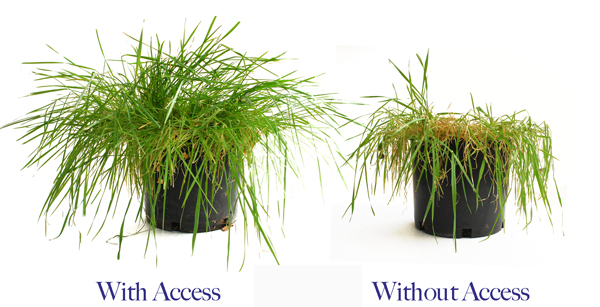 ACCESS™ is a seed coat for cover crops of all selections. You simply coat the seeds to be sown with our proprietary Rhizo-Gen Mycorrhizal components and your seeds will access the nutrients that you already have in your soils. Proper seed coating is by far the most efficient and economical method to inoculate cover crop seeds with beneficial fungi.This mycorrhizal product is an extremely efficacious selection of species in extremely high quantities. The results speak for themselves. Simply put, cover crops grow larger providing more vegetative and root mass releasing far more nutrients that your grapevines can access using this product. The same mycorrhiza that needs to support grape vine health in your vineyard is the same as your cover crop when inoculated. The symbiotic relationship will provide your vineyard access to nutrients that you will have with an extremely healthy cover crop in your vineyards. The biggest single fallacy that we hear in the grape industry is "we have plenty of natural mycorrhizae in our soil, we don't need any more". If so, then why were the controls in the trials showing 50% more stress verses the applied? Test your vineyard for yourself; send root samples to a specialist reputable in assessing beneficial organisms, start there. 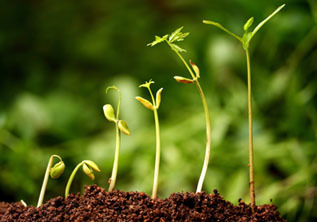 Then call us to help build your soil biology to the highest levels for sustainable results, year after year! Grape growers can reduce their costs substantially by reducing the applications of fertilizers, while increasing soil biology and fertility.Equate the cost benefits of producing 6 tons of organic matter with 100 pounds of "Max Organic Seed" per acre, verses the cost of purchasing, loading, and spreading composts that take several years to work into the soil. Also, one must question the parentage of the compost material you are bringing to your property! 5 tons compost per acre @ $50.00/ ton = $250.00/acre. 5 tons compost per acre @ $50.00/Ac. = $50.00/ Acre Cost to Spread. Total cost before overhead $300.00 / Ac. Total cost before overhead...........................= $150.00/Ac. This leads to sustainable farming where we are building soil biology not destroying it!